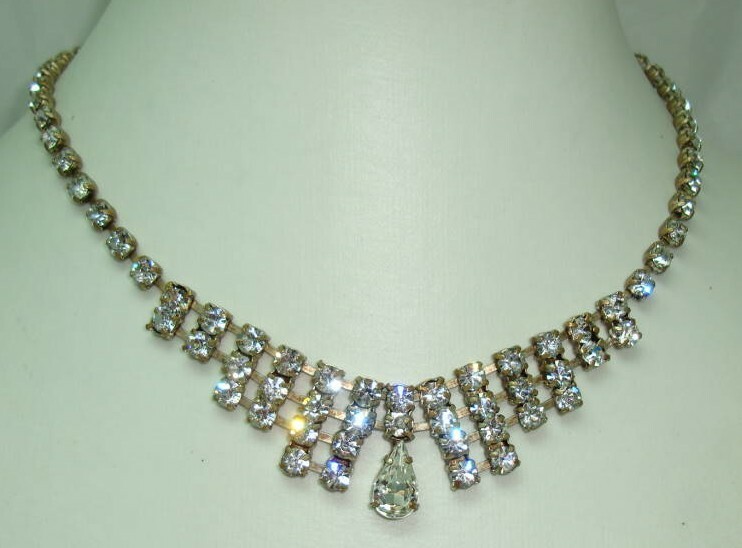 Vintage 30s Art Deco Sparkling Paste Diamante Drop Necklace Quality! 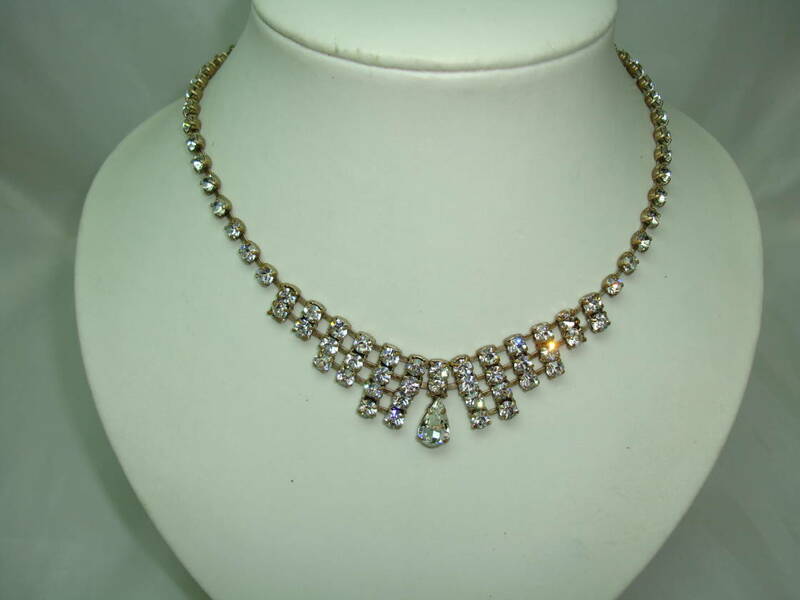 We are pleased to offer this fabulous vintage Art Deco 1930s sparkling paste/diamante drop goldtone necklace which is just stunning. 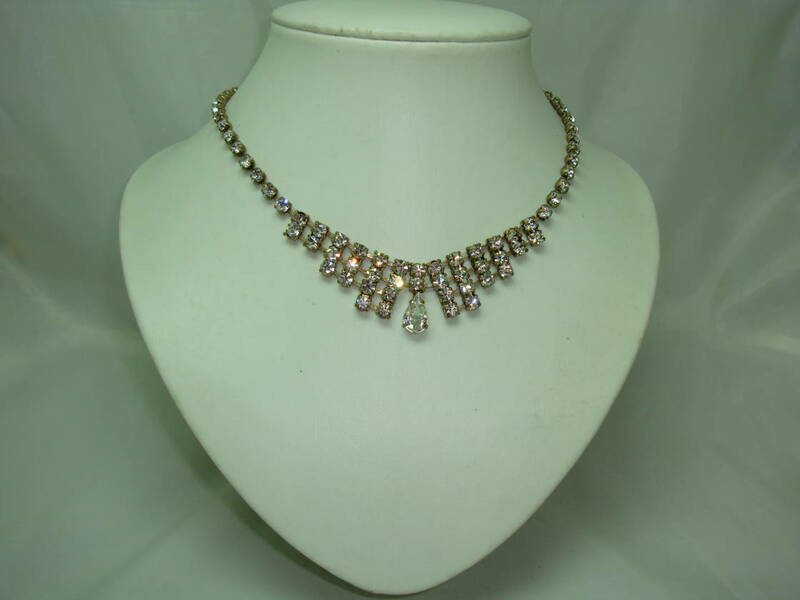 Excellent vintage condition, lovely teardrop shaped central stone, all stones clawed, intact and original. 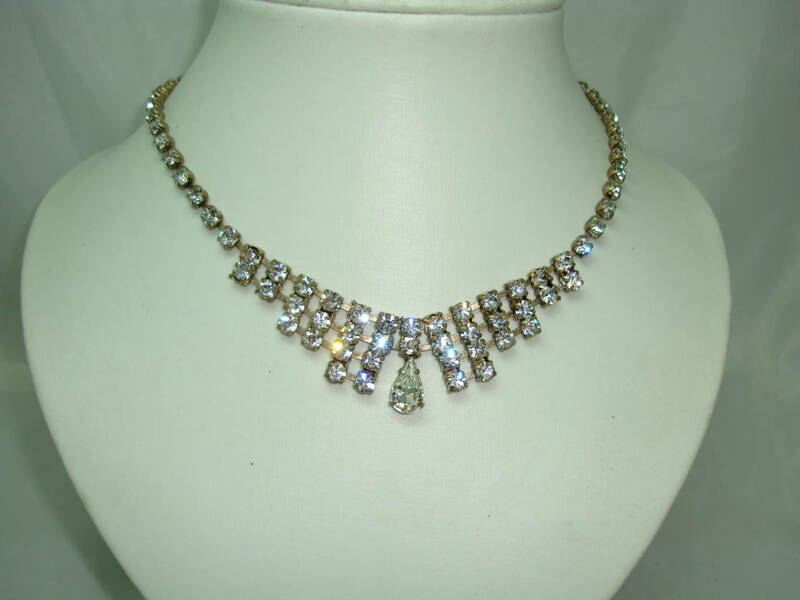 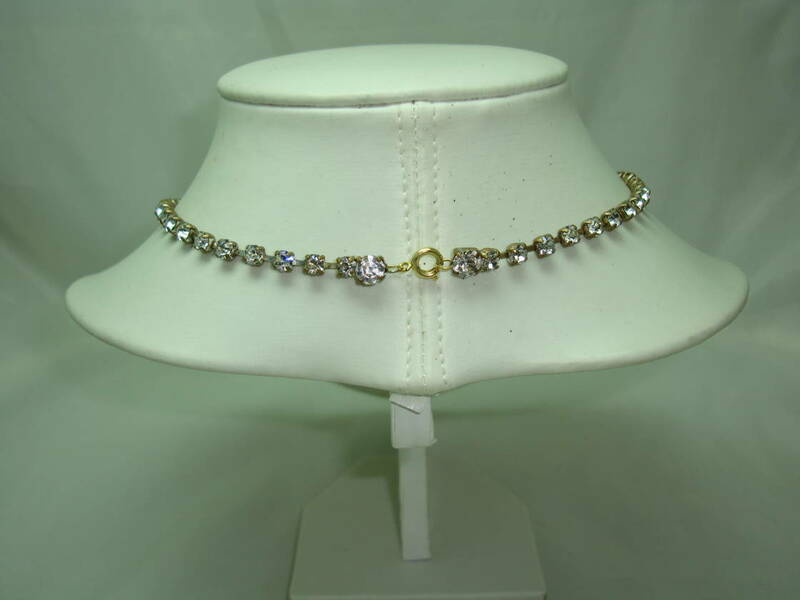 A very well made, quality vintage necklace, looks amazing on, loads of sparkle and shine, looks like the real thing!